Each Friday we unveil a new give-away in one of the product categories: Auto Products, Bath and Body Products, Fashion Products, Food Products, Household Products, Media Products, Pet Products, or Toys and Hobbies. Step 1. 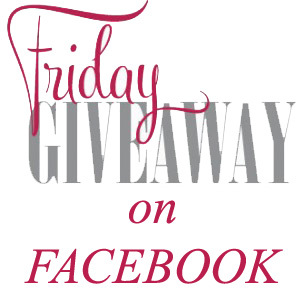 Liking the giveaway post photo pinned at the top of our page each Friday! Step 2. Sharing that photo! Step 4. Like our page! For our Michigan Made Products Facebook fans – GET IN THE DRAWING….LIKE our page, LIKE the giveaway post pinned at the top of our page each Friday, COMMENT on that post, and PUBLIC share that post. For those that do all 3 – we’ll randomly pick a winner Monday AM from the SHARES. (US shipping only). IMPORTANT NOTE: Winners are randomly drawn from the SHARE LIST – due to privacy settings, make sure to choose PUBLIC from the drop down option when sharing this giveaway post! Random.org is used to generate the winning number that coincides with the name in the Share list. We then verify that the post AND page are Liked. When all 3 are confirmed, the lucky winner will be announced on Monday morning. Good luck everyone! Be sure to visit our page or watch for the winner announcement post in your Facebook newsfeed Monday morning – YOU may be the lucky winner! You will need to private message your mailing address to claim your prize.